Below is a picture of a banner he made for his display table for events. We practiced with the setup in the garage to see how to best display his items. I don't know if you can tell from this picture, but the "Dulcimer Guy & Gal" shirts are hanging from mic stands! Ha! I guess if you are a traveling musician you use the things that are readily available! After finishing the CD, Matthew had about a week before he had to be up at Kentucky Music Week. 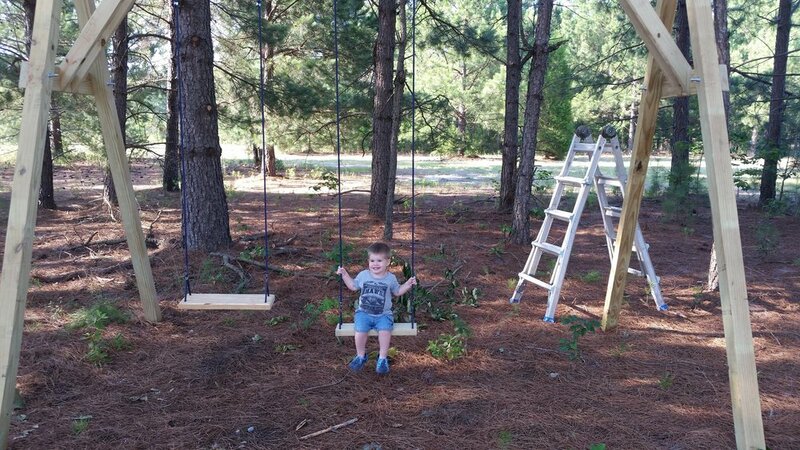 In the meantime worked on this HUGE swing-set for the the boys and I. They love it and it's been a great way to get outside and enjoy the fresh air. 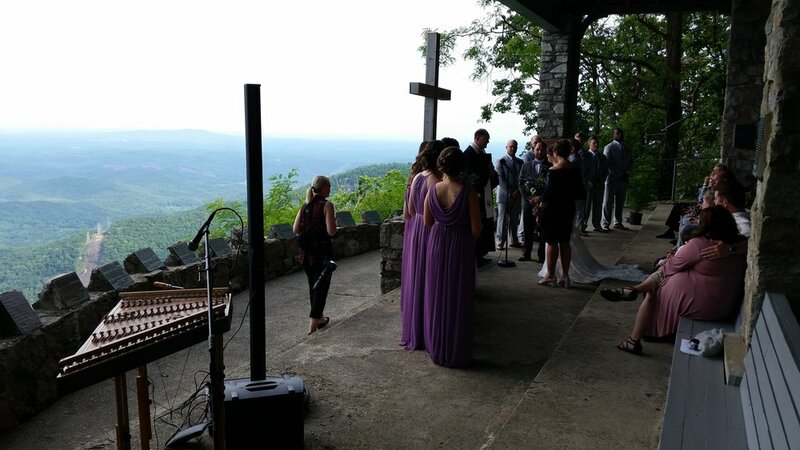 He also had the opportunity to perform for a wedding up in the mountains, so we all went along for the ride and enjoyed the whole day walking trails, driving through the mountains, eating lunch in the car while it rained, ;-) before heading up to Pretty Place for the wedding. Stay tuned for the Kentucky Music Week post!